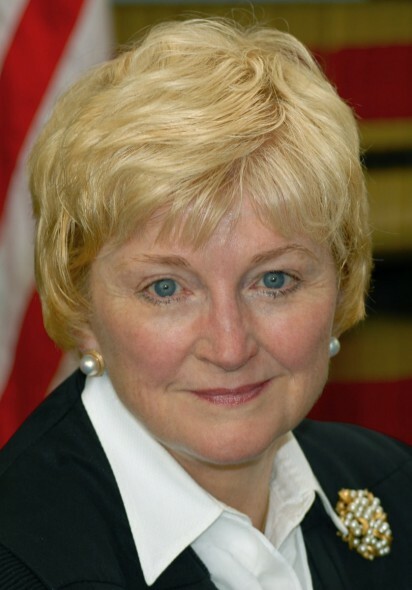 Wisconsin Supreme Court Chief Justice Pat Roggensack is offended by what people are saying about the court she runs. She is offended by the Milwaukee Journal Sentinel, by widely respected jurist Janine Geske, and by ex-legislator Spencer Black. Roggensack took shots at all of them on Tuesday in a speech at the Marquette University Law School. She was chosen to give the school’s annual Hallows lecture, “one of the flagship events of the year,” as its Dean, Joseph Kearney, dubbed it, and chose to use this prestigious occasion to mete out punishment to those who dare use “tough talk” to describe state’s high court. And as the court has repeatedly embarrassed itself in the last decade, it has naturally been met with considerable criticism, giving Roggensack one heck of a lot of ground to cover. Roggensack’s central point was such tough talk can reduce the public’s confidence in the courts and thus their institutional legitimacy. Public support for the courts has always been a concern within the judiciary; as Roggensack and others have noted, the courts have no power to enforce their decisions and must depend upon their institutional authority, which springs from the country’s support of the courts as a co-equal branch of government. That support is endangered by the decline of civility in the age of the internet and the rise of legal bloggers writing about the courts, Roggensack suggested. But that reasonable sounding introduction to the alleged problem soon fell apart as she got into the details. For starters, if legal bloggers (most of whom tend to dry and wonky) are such a problem, why wasn’t she able to provide any examples? And isn’t the decline of civility largely due to the rise of partisanship in America, of which the Roggensack’s uber conservative court, whose every decision seems in lockstep with the state’s Republican majority, is a prime example? In reality, Roggensack’s speech was really about going after those who’ve dared to criticize the court she runs. Yet Roggensack was coy, leaving out the names of her afflictors and the entire context of their remarks. Given that Roggensack’s entire premise was that any criticisms of her court should analyze the legal reasoning, it’s a violation of her own standard to skip the rationales behind the tough talk she decries. As Roggensack conceded, the statement was “at least” amusing, but it was actually part of an entire column for the Cap Times where Black offered the dictionary definition of kangaroo court, and then proceeded to explain why that was an accurate description. His language was certainly “tough,” but so were his specific complaints about the court, none of which were addressed by Roggensack. Is that why she didn’t disclose his name nor the fact he wrote an entire column? Similarly, Roggensack cited a blast at the “corrupt, rigged and renegade court” by the “Democracy Campaign,” as she described the group. The statement was by Matt Rothschild, executive director of the Wisconsin Democracy Campaign, and once again, was part of a column specifically detailing the failings of the court. You could debate whether the statement was a bit hyperbolic, but only after first reading the entire column, whose troubling charges went unaddressed by Roggensack. Roggensack went on to criticize the paper’s coverage of key federal court rulings that tell readers whether the judges were appointed by Democratic or Republican presidents. I’d say the paper is doing its job, providing helpful context to readers who would likely demand this information if it wasn’t provided. Indeed, Roggensack herself noted that justices often have philosophies aligned with presidents who appoint them. Actually, it’s a funny line. And it was part of a criticism not just of Justice Michael Gableman, but of Roggensack as chief justice, for giving Gableman what was termed a “lead opinion” when the court’s justices were so badly divided they could come to no consensus. Absent from Roggensack’s entire speech was any admission that the court itself — and her leadership — might have merited some criticism, and might better explain why it’s considered among the worst of the nation’s state high courts. This is a court which for years had a conservative majority made up of Roggensack, Gableman, Annette Ziegler and David Prosser, who together benefitted from $8.4 million in campaign spending by the conservative Wisconsin Manufacturers and Commerce (WMC) and Wisconsin Club for Growth, with each getting anywhere from 48 percent to 76 percent of all support from these two groups. As Prosser later wrote, he couldn’t have been elected without this help. Yet these justices decided to weaken the court’s recusal standard, adopting a new rule written by the WMC, its main financial backer. Later, when Prosser and Gableman were asked to recuse from ruling on the John Doe probe investigating the WMC, they refused. More recently, 54 retired judges including that pesky Geske, wrote a letter petitioning the court to adopt a stricter recusal rule. Roggensack and the court have never bothered to respond, though Wisconsin has been rated among the four worst states in the weakness of its recusal rule. Another study gave Wisconsin an “F” for its judicial disclosure rules, while noting the ethical problems of Gableman, who got off with a slap on the wrist from the Roggensack majority for his transgressions. The infamous incident where Prosser was accused on strangling Bradley (he admitted only to putting his hands on her neck) would have been far less controversial if the Roggensack majority had simply referred the case to an appeals court after a prosecutor found probable cause Prosser violated the state Judicial Code of Conduct. Instead the Roggensack majority chose in this instance to recuse themselves — and not from ruling on the case but from referring it a more objective court. In short, it appears the Roggensack herself is not above “tough talk” about the court, but only condemns it when it’s aimed at her. That sort of double standard only adds to the credibility problem of her and the court she leads. This court is an embarrassment. She must be feeling pain from knowing this court will go down in history as the the puppets of Scott Walker, WMC and the CFG. So the whole purpose of the event was to allow a sitting justice to rant about every slight that bothers her? Was there a Q&A? Anything useful? She seems ridiculously thin-skinned and defensive. And as Bruce suggests she should spend more time pondering why the court is so heavily criticized. Where there’s smoke…..
I’m wondering if P Roggensack’s concern isn’t of a piece with Kellyanne’s warning to the press about being careful what they write or the House chairman suggesting be careful who you criticize. It was truly a bizarre speech because if she was genuinely concerned that ” tough talk can reduce the public’s confidence in the courts and thus their institutional legitimacy,” it is the court’s own actions that have generated that loss of confidence. To suggest less criticism is the solution flies in the face of basic understanding of consttiutionally protected freedoms. I have no faith in the Wisconsin Supreme Court. They are bought and paid for by the GOP. Even David Prosser said that he saw his position on the court was one to back up whatever Scott Walker wanted. What ever happened to the 1st amendment? What a charmer. Do you have any information on how her speech was received? Who attends the lecture? 1st amendment is fine. She’s allowed to speak and say whatever she wants, as she did. Your question isn’t relevant. We had an outstanding Supreme Court with a highly respect jurist in Shirley Abtahsmson until Republican politics took over. It has gone downhill and has lost respect, being one of the 4 worst courts. It is very disappointing, actually heartbreaking. Good for Justice Roggensack! Sometimes bullies need a good punching back. Why silently tolerate every insult against one’s character and integrity? The first amendment comment is relevant because it is a two way street. She can’t sit up there and think she is the only one who can punch back. True. It’s a shame Bradley didn’t drop Prosser in his tracks. Bullies? It’s ironic because it used to be conservatives whining about how overly sensitive liberals are. How they are always playing the victim card and whining about every perceived slight. It’s a Trump world after all. ROggensack was modestly Trumpadelic. WOuld have loved to have a camera aimed at Geske’s face. BUt the whole court is what Zappa would have dubbed “over-educated shitheads.” We could use a few non-lawyers on the Court. Maybe that’s what Adamczyk does next. Have a great weekend, Bruce! @ Sue It’s usually attorneys, judges, and sometimes law students. However, it might be open to the public in general. Maybe you can avoid those “over-educated shitheads” the next time you need a prostate exam. Get a high school drop-out with knuckles the size of walnuts to do the exam…. Your attitude is what is dragging our society down the tubes. Education and expertise are scorned and mocked. Professionals are demonized. Just look at what walker et al did to teachers and science professionals at DNR. I want the best and brightest running our world, not a bunch of knuckle-draggers . This court lost credibility when the Justices refused to recuse themselves in cases where parties before them made significant contributions to their campaign, and they refused to recuse themselves. The Supreme Court has offered guidelines, but the WI court rejected the ethical concerns. Follow the money. Apparently the truth hurts poor Patience. At least now if I ever have a case before the WI Supreme Court, I know I need to take out a loan to make large donations to her, Gableman, Ziegler, Bradley and Kelly. That will keep the scales of justice balanced out. Why is she surprised? The Court doesn’t do anything to police itself. It does not avoid the appearance of impropriety or conflict of interest by hearing cases involving parties which have contributed tens, if not hundreds, of thousands of dollars to help them get elected. The decisions do nothing to dispel the apparent conflict. The decisions appear to be heavily influenced by partisanship. Even her comments are not even handed; she is silent about the repeated disrespectful comments of the courts and judges by Donald Trump, and right wing talk show hosts. I agree it is sad, disappointing and not good for democracy that this Court and the judicial system is losing its legitimacy. The courts,all of our political leaders, and political commentators bear the responsibility for that. “Patience” what an odd name for such an angry, corrupt Bee-yotch!! Have to wonder what set her off? Maybe her regular bribe, (oh, I mean campaign donation) from the Koch Bros arrived a little late this month. Maybe a little extra $$$ from American Federation for Children will calm her down. Under her leadership, the Wisconsin State Supreme Court is the laughingstock of America. Wide open corruption lead by the most ethically challenged Chief Justice in America. Patience Roggen-Sack-Of-Crap is an embarrassment to the legal profession and Wisconsin. Now I read in the NY Times today Chief Justice John Roberts is quoted saying about the pending confirmation of neal Gorsuch: “We don’t work as Democrats or Republicans and I think it’s a very unfortunate impression the public might get from the confirmation process”. Oh, so that’s where people get such outlandish ideas. But I digress. Roggensack’s speech really must take the cake and the prize for chutzpah.